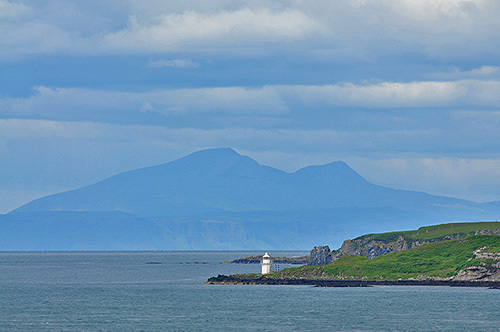 This is the lighthouse at Carragh an t-Sruith on Jura with Mull in the distance, seen from the Islay ferry departing from Port Askaig. Admittedly not a view you'll get with the bare eye, this was taken with my 80-400mm lens fully extended to 400mm. The big mountain is Ben More on Mull, the only island Munro outside the Isle of Skye. With that I'm going to say good night, have a great weekend!